How Much Does It Cost To Whiten Your Teeth In San Diego? Find Out. Do you wish your smile was whiter and brighter but don’t know what it would cost you? In this article, we aim to review all of the best teeth whitening choices and their associated costs. 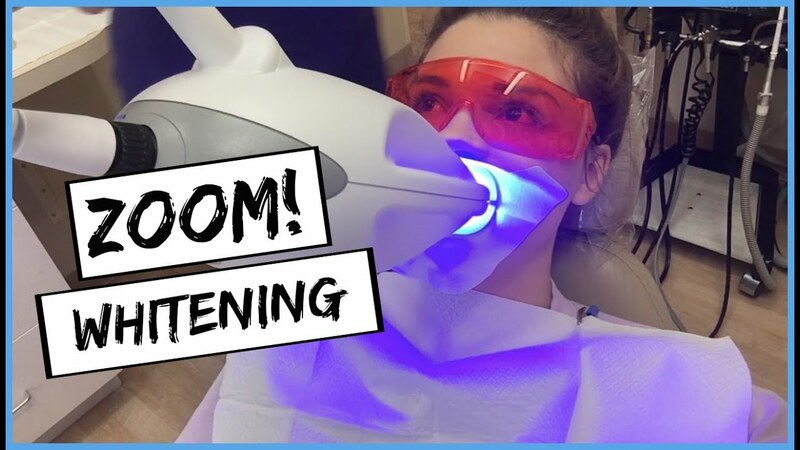 By the end, you should have a solid understanding of the various teeth whitening options available and what it would cost you. 3.1.1 Average cost ~ about $500. 3.2.1 Average cost ~ about $600. 5.2.1 Average Cost – Around $10.00 to $16.00. 5.3.1 Average Cost – $3.00 – $10.00. 6 Is Whitening at Home Strong Enough? 8.1 Does tooth whitening cause permanent tooth sensitivity? 8.2 Can I get my teeth whitened? 8.3 Is tooth bleaching safe? 8.4 Does teeth bleaching affect veneers, crowns, or fillings? 8.5 Is the agent used in teeth whitening solutions toxic? 8.6 How a Whitening Solution Works? 8.7 What the Standard Cost for Standard In-office Whitening Involves? 8.8 Why Is Deep Bleaching More Expensive? 8.8.2 How Is the Price Determined? 8.9 How long will the best teeth whiten San Diego services last? Teeth whitening costs anywhere from $300 to around $1,400 for deep bleaching, if a procedure is performed in the dental office. In-office treatments are usually supported by at-home maintenance and regular follow-up visits. If you want to have your teeth professionally whitened, expect to pay from $300 to $1,400 overall. What Is It – This sticky bleaching gel does not need a light activator to whiten teeth. That is because it contains 38% hydrogen peroxide, including a patented formula that contains PF, or potassium nitrate (to reduce sensitivity) and fluoride (to strengthen tooth enamel). Procedure – This process uses retractors, a hardening resin or rubber dam, and trays, customized to fit the teeth. The gel is loaded into the trays to effect whitening. Pros – The sticky quality of the gel is more absorbent, and leads to good results. Also, the substance does not need a light activator. Cons – The hydrogen peroxide in the gel is higher than other similar solutions. In addition, the gel may be applied up to five times, depending upon the degree of discoloration. Average cost ~ about $500. What Is It? – This whitening gel is gentle and pH balanced to optimize efficacy. Water and glycerin are included to reduce tooth dehydration. Gels are offered by dentists in 15% and 25% hydrogen peroxide solutions. How Is BriteSmile Different from Opalescence? BriteSmile is a gentler solution and uses a blue lighting system to activate whitening. Less time is usually spent in the chair as well. You only need to undergo treatment for about an hour. The gels are applied at three 20 minute intervals. Pros – This product is gentle and provides fast results. Cons – The product needs to be activated using a lighting system. Also, the overall cost is not covered by insurance. Average cost ~ about $600. What Is It? – This tray whitening system uses a 25% hydrogen peroxide solution and a chairside lamp to accelerate whitening. The dentist applies the gel three times for 15 minutes each. After the procedure, fluoride is applied to reduce sensitivity. Dentists provide patients with a kit that can be used at home to touch-ups. Custom-fitted trays are used for the treatment. How is Zoom! Different than Opalescence and BriteSmile? This form of whitening requires the use of an at-home kit for maintenance. Pros – This treatment takes 60 minutes to perform. Cons – The treatment is not recommended for children under 13 years old or for lactating or pregnant women. What Is It? – Laser tooth whitening uses light to activate the bleaching gel in a tray to create a whiter and brighter smile. How Is It Different from Other Bleaching Methods? – The main difference is the light that is used to activate the gel, making teeth whiter. Pros – Easily whiten teeth and ensures whitening performance. Cons – You may feel some shocks during the process – proof of the gel’s activation. This may be slightly uncomfortable. What are They? – These kits enable you to whiten your teeth at home in about three days. The kits usually use strips that can be configured to your smile. Enamel-safe ingredients are featured that remove general food stains and discoloration. The strips fit well and are easy to use. How are they Different from Opalescence or BriteSmile? – Strips are used, instead of trays, to brighten the smile. What Is It? – This kit features two full whitening treatments, including an LED accelerator light. The blue LED wavelength that is used accelerates the formula. This type of whitener is three times faster than using strips. You receive the same whitening agent used in-office at a reduced cost. How Is It Different from Opalescence or BriteSmile? – A brush applicator is used instead of customized trays. Also, the product is accelerated with a 20-LED accelerator light. Sensitivity – Low sensitivity – about four or five, on a 10-point scale. How Long Does the Treatment Last – About 12 months. What Is It? – Tray-based light-activated lightening system that uses 35% carbamide peroxide, providing for about 20 whitening treatments. The gel is safe for the enamel and creates no sensitivity. The LED light features a timer for whitening purposes. How Is It Different from Opalescence or BriteSmile? – The solution is gentler on gums, and LED light is used to accelerate the bleach. The treatment is conducted in a less controlled environment. Syringes are used to load the gel. Sensitivity – Very low sensitivity – about 3 on a 10-point scale. How Long Does the Treatment Last? – About 4 to 12 months. What Is It? – This enamel-safe formula requires no prescription. You receive 12-months’ worth of teeth whitening serum combined with an LED activating light. 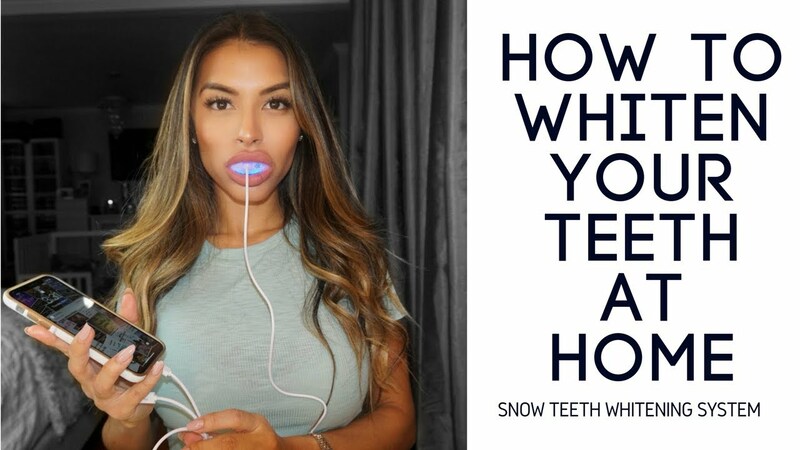 A favorite at-home whitening kit, the Snow Teeth Whitening system is touted by A-list celebrities. How Is It Different from Opalescence or BriteSmile? The LED-activated whitening is not done in a controlled environment. Sensitivity – Very low sensitivity – 2 or 3 on a 10-point scale. How Long Does the Treatment Last? – According to the manufacturer, this whitening system comes with a five-year guarantee. What Is It? A dentifrice that is designed to get rid of surface stains and keep teeth clean. While whitening toothpaste are advertised, they do not lighten the teeth several shades whiter. How Is It Different from Opalescence and BriteSmile? – The results are not as dramatic. Pastes are applied with a manual or electric toothbrush, and are meant to keep the teeth clean and breath smelling fresh. Pros – An easy way to brighten a smile, provided a regular dental regimen is followed. Cons – This type of whitening system does not dramatically whiten a smile, nor get rid of stubborn discolorations. What Is It? – Active charcoal or carbon is a natural product that brightens the teeth without the worry of sensitivity. This natural product helps people suffering from bad breath or who have superficial staining. How Is It Different from Opalescence or BriteSmile? Because it is derived from natural, charcoal will not trigger gum or tooth sensitivity. How Long Does the Treatment Last? You must brush twice a day to maintain clean and brighter looking teeth on a continuing basis. Pros – Good results for people wishing to enhance their smile without chemicals. Also, this type of product comes in white charcoal, derived from white birch trees, which are noted for their whitening capabilities. Cons – The results are good, but they do not reach the level of in-office whitening. However, you can get rid of surface stains by using this type of product. Average Cost – Around $10.00 to $16.00. What Is It? – This type of dental solution entails using organic oil, such as sesame seed oil or coconut oil to clean bacteria and residue from the teeth. How Is It Different from Opalescence and Bright Smile? – This treatment is not considered a whitening therapy. However, it can support regular dental brushing and flossing. Pros – This adjunct therapy gives you an advantage when you use toothpaste, as it is designed to get rid of the additional plaque on the teeth. However, it should not be used as a substitute for brushing and/or flossing. Cons – This treatment has not been tested a great deal for its dental efficacy. Also, swishing oil in the mouth is not a proven method for whitening the teeth. It takes some time to swish the oil too – about 20 minutes once a day. Average Cost – $3.00 – $10.00. Is Whitening at Home Strong Enough? Whitening usually begins with a tooth-whitening paste or gel. While a paste or gel will brighten your teeth, it usually does not provide enough impact to whiten teeth completely. Although toothpaste supports a whitening treatment, it cannot take the place of an in-office whitening procedure. Many dental patients choose whitening strips or trays. However, these solutions are not as strong as what you receive at the dentist’s office. Store-purchased whitening trays are one-size-fits-all, which are not configured to a patient’s teeth. The trays may become loose, causing the solution to irritate the gums. By choosing professional in-office teeth whitening, you can transform your smile in a dramatic way. A professional grade whitening type gel whitens the teeth by as much as eight shades. By comparison, store-bought whiteners lighten the teeth about two shades. If you want to receive immediate and noticeable results, you should select in-office whitening. Answer: Normally, in-office whitening is controlled so sensitivity is not an issue. Also, gels today are thick and contain de-sensitizers, so sensitivity is greatly minimized or not noticed at all. Answer: Yes, you can get your teeth whitened. Your dentist will tell you if you are a good candidate for one of the various in-office treatments. If you need super whitening or your teeth do not take well to the gel, you can opt for deep bleaching or veneers. Answer: Tooth bleaching is safe for most people, as the bleaching process includes the use of a protective coating and cheek retractors to protect the gum tissues. The gel that is used is also desensitized for use. Does teeth bleaching affect veneers, crowns, or fillings? Answer: These restorations are not affected by bleaching. In fact, all restorative work should be performed first before teeth are whitened with bleach. Is the agent used in teeth whitening solutions toxic? Answer: No. the hydrogen peroxide or carbomer peroxide gel that is used may cause some sensitivity, but it is not considered toxic or detrimental to your health. How a Whitening Solution Works? Answer: When a whitening gel or solution is applied, the hydrogen peroxide used for the substance penetrates the enamel. Oxidation begins, which causes molecules to receive less light. After oxidation, the teeth appear whiter. What the Standard Cost for Standard In-office Whitening Involves? The dentist inserts cheek retractors into your mouth to expose teeth for bleaching. The dentist paints a resin or liquid rubber dam onto the tissue to protect the gums from sensitivity. A hydrogen peroxide gel is applied and kept on the teeth up to 30 minutes. The gel is suctioned or rinsed off before more gel is applied for an additional 15 to 30 minutes. After the gel is applied, the cheek retractors are removed and you rinse your teeth. Your teeth, at this point, may whiten about two or three shades lighter, or as much as eight shades. The dentist may recommend a follow-up visit for bleaching at a later date or provide at-home bleaching trays for maintenance. Why Is Deep Bleaching More Expensive? Deep bleaching reaps excellent results. However, the cost is higher because it entails several steps. Detailed impressions of the teeth and gumline are made. Using the impressions, a dental lab makes vinyl trays that will hold the bleaching gel. This makes it possible to seal the bleach and prevent gum irritation. This part of the process takes 30 minutes. The teeth are polished, using a pumice type powder. Two coats of a desensitizing agent are rubbed on the teeth. Custom-made bleaching trays are filled with hydrogen peroxide and pressed on the teeth’s surface. Trays remain in place about 20 minutes. The gel is suctioned off the teeth and from the trays. The trays are reloaded and re-applied for another 20 minutes. Two coats of a desensitizing agent are again rubbed onto the teeth’s surface. This conditioning session takes about an hour. You are sent home with the trays and a kit that provides enough carbamide peroxide gel for 14 consecutive nights. This is done to whiten the teeth and make the enamel more receptive to oxygenation. You will return the dentist’s office – this time, for a bleaching system that uses a rubber dam and retractors. This session takes about 60 minutes. Your teeth will be maximally white. Following in-office bleaching, dentists recommend patients continue to use the bleaching trays during the night once every month, two months, or three months. If you happen to like red wine, you need to use the trays once every two weeks. This deep bleaching treatment runs from $800 to $3,500 on average. However, you should expect to pay, as noted, about $1,250. To maintain your whiter and brighter smile, you will pay about $6 per night for the bleaching gel. 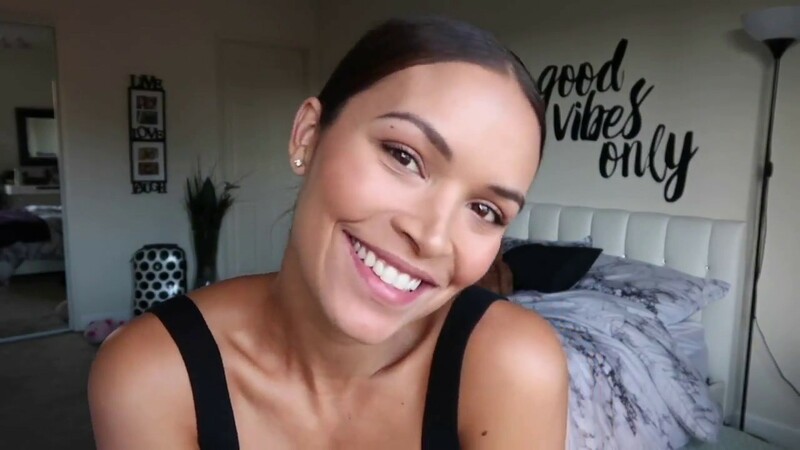 How long will the best teeth whiten San Diego services last? According to the Oral Health Foundation, teeth whitening lasts about three years. However, these results may vary, depending on how you care for your teeth and what you eat or drink.